If you wonder what I know of, in the art of courage, mine would most likely be different than yours. What is required of me or you, may seem like a small hill of beans to another. However, I firmly believe that there is a universal struggle for artists, whether you art is with words, or canvases, or print, or theater, or anything that is slightly public and open to ridicule, fear is there trying to stop you ever step of the way. There is something raw and vulnerable about any art on display. But why do we risk? Yes, we may feel compelled to do it. Our passion can cause pursuit. But when we are standing in front of the audience, or the blank page, or behind the camera, we are searching too. In the art of courage, I had a heart for those Outside the City Gates ( a community of writers, artists, speakers that I once found, now is closed) and stepped out in my own little fear. I didn’t step out alone. But the fear was not any less fierce for it. I always thought myself to not be the type to do these kinds of things. But when I’ve talked to family and close friends, they say that these are exactly the kinds of things I do. It’s funny how we skew ourselves. In our minds, we downplay who we are, really. Yet, all the while, others see the best in us. Of course, our closest ones see the worst too. 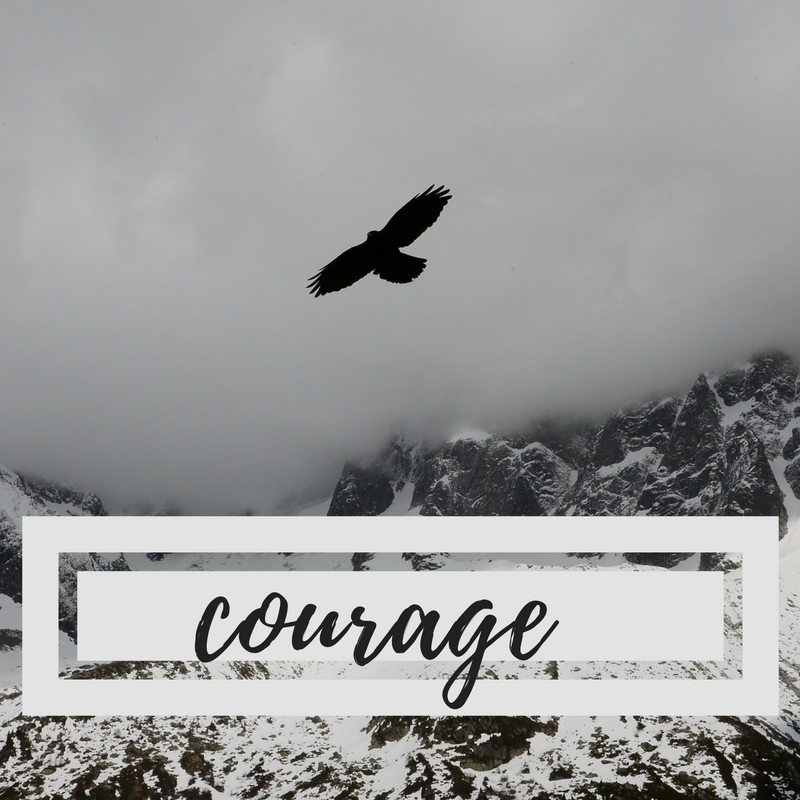 But that is precisely why it takes courage. We know who we are and yet, that does not stop us from doing what we are called to do, be it to take care of the little’s or to climb Mount Everest. Courage comes in all packages.